Simplus | Take a look at Salesforce’s footprint all over the world! 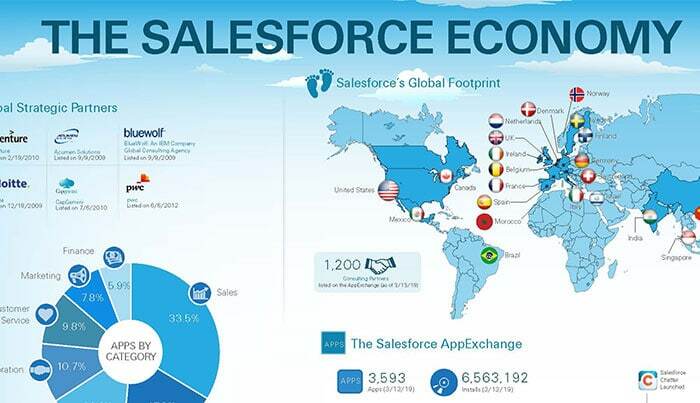 20 Mar Take a look at Salesforce’s footprint all over the world! It’s no news that Salesforce is a tech powerhouse. But sometimes we forget just how incredible Salesforce’s journey of growth has been over the years. Our team at Simplus took the time to look at all the details of Salesforce’s development, from app downloads and partners to revenue numbers and acquisitions—and looking at the finer details, we’re happy to say it gets even more impressive! 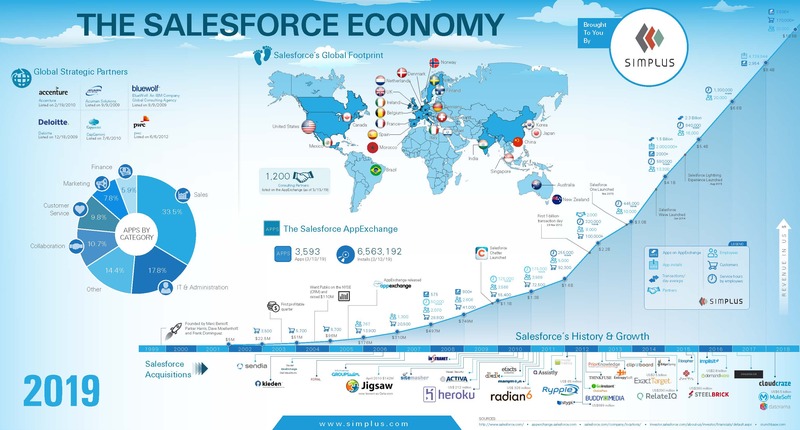 Take a look at this infographic to learn more about just how important Salesforce is to the tech space in all corners of the world.